Madison,Wi needs help so they dont get evicted... Since they are located in downtown, college students and their familes are guests. The staff is usually college students, also. Plus Ken is a kidney transplant recipient and the medical bills were horrible. They want people to enjoy authentic japanese cuisine and also for those who cant afford a trip to Japan. Also for those homesick for Japan..Advertisment is word of mouth. Please help. This month, Ken has been hospitalized twice for he has fainted. This time he actually had to get stitches on his upper lip. I thought to share that with you. Just letting you all know that who ever is opening in our old location is not us. We did not sell our business nor the name or the rights. They do not have our recipes or our history. We were told by couple people that they saw on the door a sign saying “ we will be reopening soon” as if we the original owners were “ reopening “. So please do not be fooled by these people. Thank you very much. Please pass this information on. We would like once again to thank everyone who donated here or directly. It’s time for us to close this chapter and move forward. Thank you so very much from our hearts. 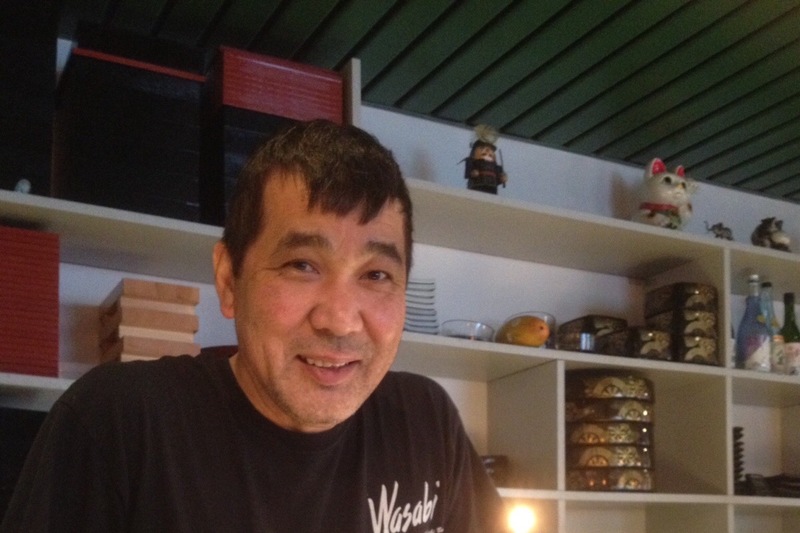 We close with all sorts of memories and stories of Wasabi of almost 25 years. It’s time to close this GoFundMe account. I will do so in couple days since I don’t know how fast everyone will get our message. Thank you everyone who had tried to keep Wasabi open. We closed Sunday night for good. We had overwhelmed or shocked guests that had no clue about our situation. Even while we were packing away, a young regular came to enjoy his favorite spicy beef udon. Was in total shock. We talked for awhile. People like him, made our long hours, days made it all worth it for us, even when we were exhausted. So I will withdraw the money here. It will replace the money we used for the moving, rental truck, pay for help, their meal and the storage unit to put equipments that we need to sell later. We won’t say goodbye, just mata ne. See you later.